Hanover Co., is in contract to purchase Cannery Park Village at 357 E. Taylor St., which is the location of a now defunct corporation yard (maintenance and repair facility for vehicles/equipment and material storage). 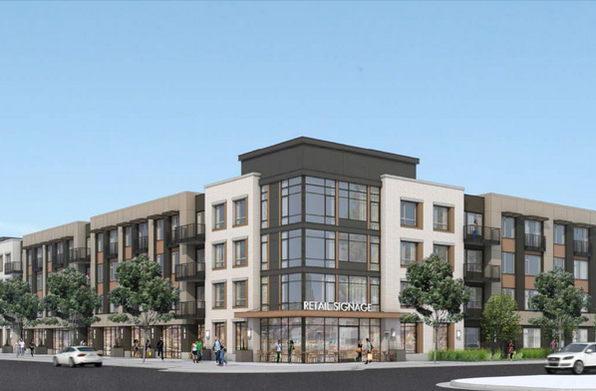 They are planning to build a four-story building on the 8-acre lot with 403 apartments. The project will also include nearly 600 parking spaces which will be mostly in a garage, 5,000 SQFT of retail on East Taylor Street, and a small 0.7-acre park. If all goes well, approvals will come by the end of the year and construction could begin in 2016. This is NOT the Corporation Yard. That's on the south side of Taylor. The Cannery Park Development will displace the Bay Area Glass Institute plus several other unique local San Jose businesses.